Marietta is the seat of Cobb County and one of Atlanta’s best bedroom communities. Just 20 miles northwest of Atlanta, Marietta is known for providing its residents with an excellent quality of life thanks to its easy access to I-285, its historic downtown, and its plentiful shops and restaurants. The region’s mild weather makes it attractive to seniors, and its award-winning schools make raising a family here a treat. 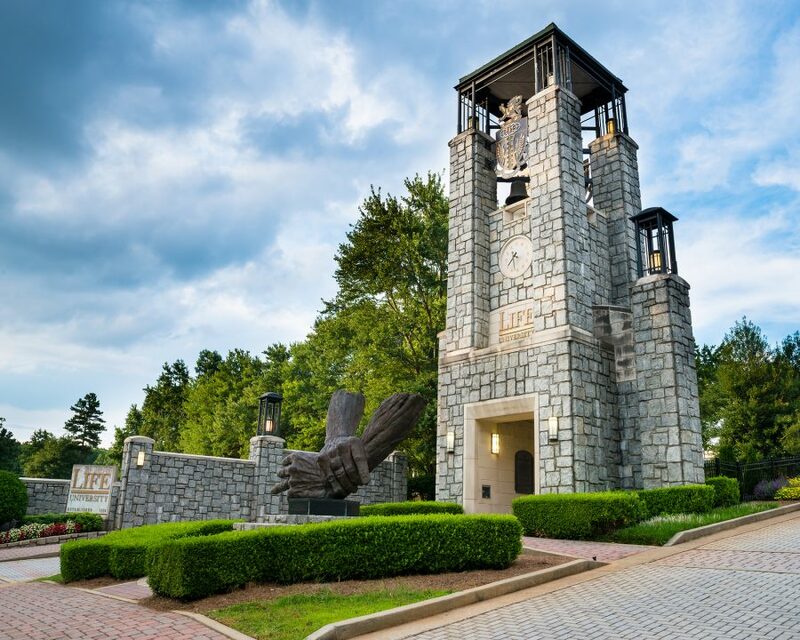 Marietta is also the home to several college campuses, including Kennesaw State University, the Marietta campus of Chattahoochee Technical College, Life University, and Lincoln College of Technology. With so much going for it, it’s no wonder why it ranks in the top five best places to live in Cobb County. Marietta is a rent-heavy city, with 60 percent of its residents choosing to rent. Part of the reason for this is the fact that rent is cheap in Marietta. In fact, with a median rent of $983, renting in the city is just shy of the national average ($949). Buying a house, on the other hand, is more expensive than it is in most of the rest of the country. The median home value in Marietta is $242,000 compared to $184,700 nationally. The most popular home styles here are the colonial, ranch, Victorian, and the craftsman. Marietta is accommodating to so many different types of people that everyone can find and make a home here and be happy with their choice. The city has a small-town feel with big city amenities and conveniences. If you want to live close to Atlanta, but in a cozy world that’s all your own, then Marietta might be the place for you. Getting in and around Marietta is easy thanks to it being served by the Cobb Community Transit System and Xpress GA buses. However, most of Marietta’s residents commute by car since U.S. Route 41 and State Route 3 both cross through the town and I-75 running through its eastern side. Being a suburb community, walking and biking are purely for pleasure and exercise here, as most errands can only be accomplished by driving or public transit. Marietta is one of Georgia’s most diverse cities with whites making up 48 percent, African-Americans 30 percent, and Hispanics 16 percent. Asians and people of two or more races account for the remaining five percent. Women outnumber men in Marietta by two percent, and 38 percent of adults have earned at least their bachelor’s degrees. Marietta is not only ethnically diverse, but its population is also rather evenly spread out among age groups. The largest portion of the population (17 percent) consists of millennials aged 25-to-34 years. They are followed by adults aged 35 to 44 and children under ten years old. These groups account for 15 percent each. Seniors make up 12 percent of Marietta’s residents. The median household income in Marietta is $50,963, which is lower than the national average ($55,322). Conversely, the median individual income is $28,780, which is slightly higher than the national average ($27,419). Whether you’re craving pizza, steak, Thai, or you want a fine dining experience to remember, you’ll find what you’re looking for in Marietta’s culinary scene. For mouth-watering barbeque, you’ll have plenty of choices, but one of the favorites among locals is Dave Poe’s BBQ. They’ve been slow-smoking BBQ there since 1975. The most popular pizza place in Marietta is Marietta Pizza Co. on Whitlock Ave. SW, and they even have vegetarian pizzas. If seafood or Cajun food is what you want, then Pappadeaux Seafood Kitchen never fails to satisfy. You’ll find everything from Louisiana gumbo and frog legs to Gulf Coast oysters and grilled Spanish octopus. While Pappadeaux is comfortable and casual, for a more refined seafood menu, Drift Fish House & Oyster Bar is where you’ll want to go. It’s one of Marietta’s top-rated fine dining restaurants. Just as abundant as its restaurant selection, Marietta also sports a good supply of excellent bars, lounges, and pubs. The Irish bar, Johnnie MacCracken’s Celtic Pub, is one of the best watering holes in town. It earns its spot thanks to its combination of International, domestic, and house drafts, live music, and menu of Irish and American classics. If you prefer sports bars, then you’ll find plenty of TVs showing games at The Pub – Sports Bar, located in the Hilton Atlanta/Marietta Hotel. Meanwhile, at the Dixie Tavern, you’ll find live music every night, pool tables, a large patio, and a full-service bar with 20 beers on tap. Marietta has a rich history and vibrant arts scene that it shares through its many museums. In fact, Marietta has what is known as “six museums, one square.” Each museum is no more than a 15-minute walk from the next, and they’re all found at the foot of Kennesaw Mountain, one of the Civil War’s most pivotal battlegrounds. In this square, you’ll find the Marietta Fire Museum, the William Root House Museum and Garden, the Marietta Museum of History, the Old Zion Church Heritage Museum, the Marietta Gone With The Wind Museum, and the Marietta/Cobb Museum of Art. Marietta also has six historic districts, four of which are listed on the National Register of Historic Places. It’s also home to the renovated Earl and Rachel Smith Strand Theatre and Mid-Ohio Valley Players Inc.
Marietta is a great place to retire to because it has a generally mild climate all year long. Temperatures can reach freezing in December and January, but snow rarely ever falls here. In the summer, temperatures average in the upper 80s, making Marietta very comfortable during what would normally be the hottest time of year. Marietta’s seniors are also never far away from excellent medical services. The city is served by WellStar Kennestone Hospital, which offers a full range of inpatient and outpatient services, including emergency care, cardiac and stroke care, orthopedic surgery and obstetrics. There are also several excellent 55+ communities in Marietta and assisted living communities, many of which are pet-friendly. Do you love cities in the Atlanta Metro like Marietta? Sign up below for FREE updates on home trends in and around Atlanta!